Six Greek restaurants are shown near Harris Park. One Greek restaurant is located in Harris Park and five in suburbs close to Harris Park. 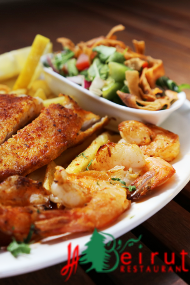 Enjoy a taste of the Mediterranean diet with the best of Greek cuisine, including classics such as, moussaká, souvláki and dolmádes at a Greek restaurant near Harris Park.